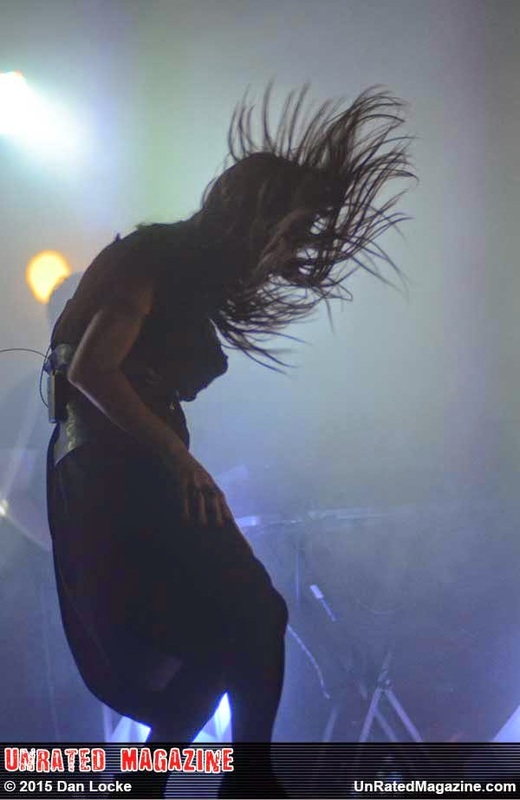 Zola Jesus Performed to a Sold Out Crowd at The Athenaeum Theatre in Chicago on Jan.16, 2015. Nika Roza Danilova who goes by the name of Zola Jesus performed at The Athenaeum Theatre as part of Tomorrow Never Knows Festival 2015. You asked what is this festival you never heard of...It was started by Schubas and now runs by both Schubas' & Lincoln Halls as a winter music fest mixes acclaimed, up-&-coming, local & national indie acts. This year it run on January 14-18, 2015. This year the fest included, Aimee Mann and Ted Leo will play as the Both, Hamilton Leithauser of the Walkmen will make an appearance, and Canada's buzzy indie-pop troupe Alvvays, but I think the biggest act for the fest this year was Zola Jesus. Zola Jesus must people thing she is mixed of Kate Bush and Joy Division. I feel she is more like Lorde, but has a better voice and her songs are more moving better written. It was a joy to see her performed to this small but mighty crowd.